Drum Corps International's fellow Indianapolis-based strategic partner Music For All today announced plans to keep its office, staff and events in Indianapolis through 2023. 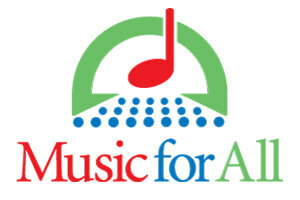 After moving from the Chicagoland area to Indianapolis in 2003, Music For All's new commitment represents an 11-year extension to the organization's existing agreement. It is expected to generate an additional $225 million in economic impact and bring-in more than 600,000 visitors to Indianapolis. Like the Drum Corps International World Championships each August, Music For All hosts its capstone event, the Bands of America Grand National Championships at Lucas Oil Stadium in downtown Indianapolis. The three-day series that will feature more than 90 marching bands from across the country is taking place this week, Nov. 8-10. "We are proud to call Indianapolis home, a city that has fully embraced our events, staff and visitors," Music For All President and CEO Eric Martin said. "Our board and key stakeholders agreed that keeping Music for All and its events in Indianapolis would help foster our continued growth and benefit our mission of providing positively life-changing experiences through the arts." Music for All is part of a larger strategic initiative of Indianapolis called Music Crossroads. Since its inception, the program has welcomed many arts-focused organizations and events to Indy including Drum Corps International and the DCI World Championships. These entities together have generated more than $490 million in economic impact and brought in more than 2.3 million visitors to the city. "We couldn't be more pleased to see Music For All stay committed to Indianapolis," DCI Executive Director and CEO Dan Acheson said. "The continued support of the City of Indianapolis of the marching arts and the Music Crossroads initiative shines brightly for Drum Corps International and its member corps."